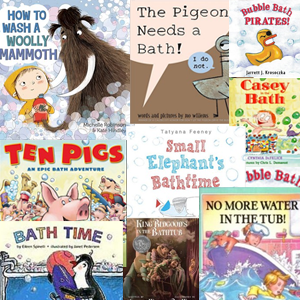 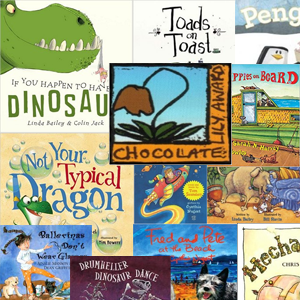 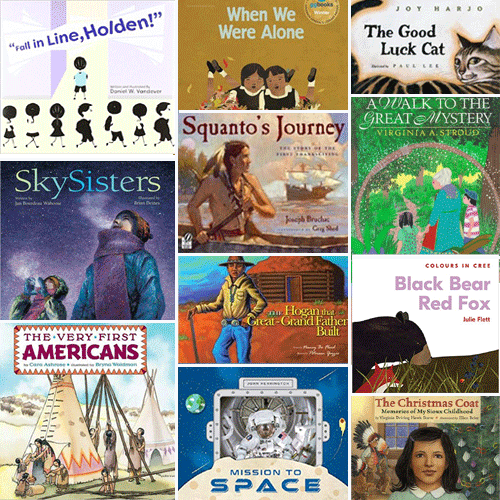 Our list of picture books reflecting Native American themes feature family, animals, school, space exploration, and Thanksgiving. 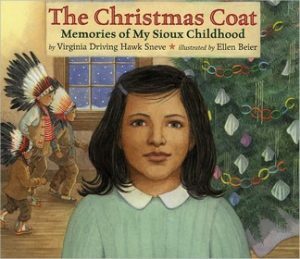 Virginia and her brother are never allowed to pick first from the donation boxes at church because their father is the priest, and she is heartbroken when another girl gets the beautiful coat that she covets. 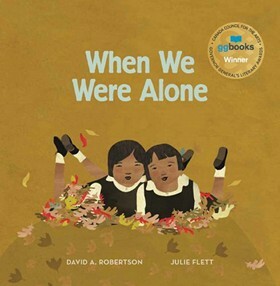 Based on the author’s memories of life on the Rosebud Reservation in South Dakota. 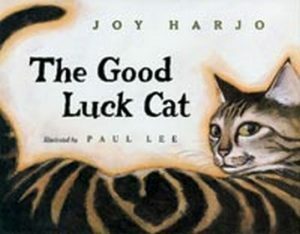 Because her good luck cat Woogie has already used up eight of his nine lives in narrow escapes from disaster, a Native American girl worries when he disappears. 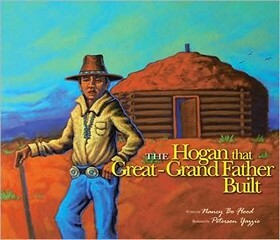 A child describes what daily life is like for his Navajo family living in a hogan built long, long ago by his great-grandfather. 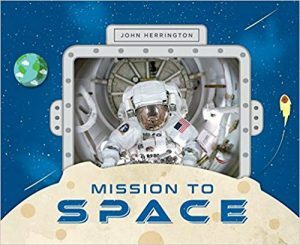 Astronaut John Herrington shares his passion for space travel and his Chickasaw heritage as he gives children a glimpse into his astronaut training at NASA and his mission to the International Space Station. 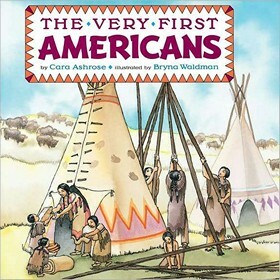 Includes an English-to-Chickasaw vocabulary list with space-related terms. 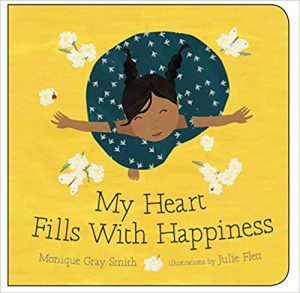 A sweet narrative grounded in First/Native Nations culture, community, and traditions, this book explores what makes one happy. 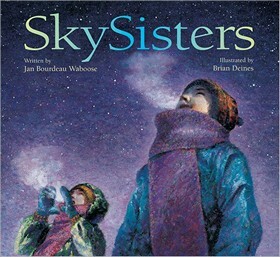 Two Ojibway sisters venture out on a chilly night following their grandmother’s advice that “wisdom comes on silent wings.” They meet three guardian animal spirits and arrive at the Northern Lights, or SkySpirits. 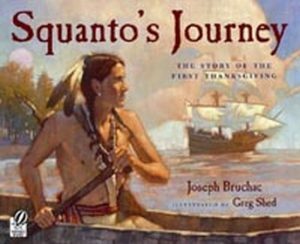 Squanto recounts how in 1614 he was captured by the British, sold into slavery in Spain, and ultimately returned to the New World to become a guide and friend for the colonists. 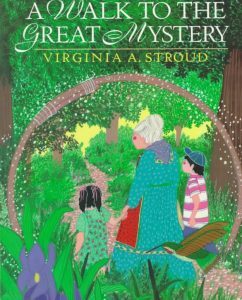 While exploring the woods with their grandmother, a Cherokee medicine woman, two children learn about the spirit of life that is all around them and within them as well. 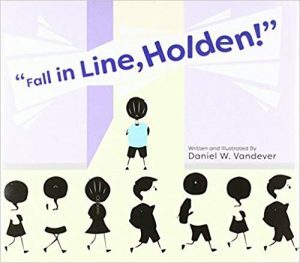 While gardening with her grandmother, a young girl asks her grandmother about her long, braided hair, colorful clothing, and why she speaks another language. 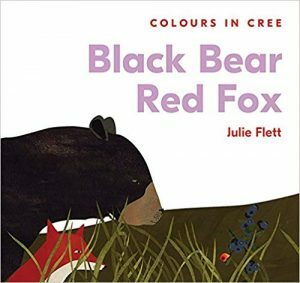 She will find the answer in the story about her Cree grandmother’s time in a residential school.